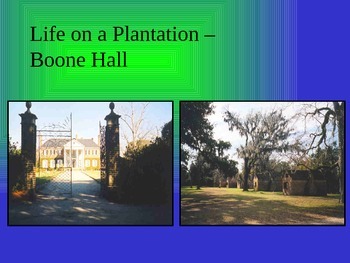 This PowerPoint can be used to show what life was like on a Southern plantation during the Colonial America time period or as a part of a Civil War unit to show an aspect of slavery and plantation life which contributed to the causes of the Civil War. 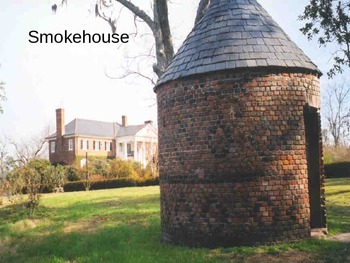 The author uses original pictures of Boone Hall Plantation in South Carolina to show the majestic entrance to the plantation, the main house, a slave street and slave cabins, cotton fields, the gin house, a smokehouse, the dock house, stables, and an unusual schoolhouse. There are slides that provide textual information for presenting the slides. 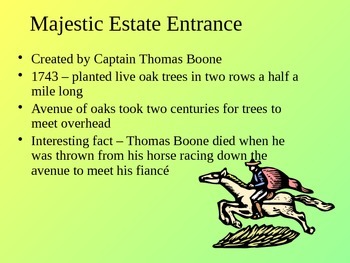 There is also a twofold assignment for the students at the end of the PowerPoint. 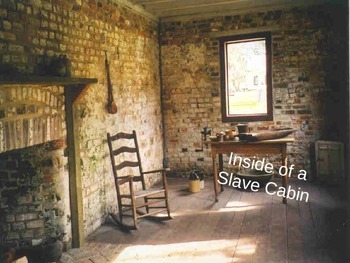 This presentation can be easily adapted for upper elementary grades through high school.